Mitch Patel will address Chattanooga State graduates at this Saturday's commencement ceremony. Chattanooga State will hold its annual Commencement exercises at Memorial Auditorium, 399 McCaliie Avenue, on Saturday, May 7, beginning at 10 a.m. (EDT). 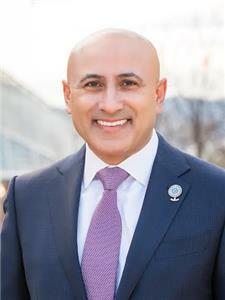 Mitch Patel, Vision Hospitality CEO and President, will present the commencement address to the 2016 graduating class that includes degrees and certificates awarded to 1,335 graduates. Dr. Flora Tydings, Chattanooga State President, will grant conferring of rights and privileges. 2016 graduates range in ages from 17-63 with more than 52 percent over age 25, while approximately two-thirds are women. A total of 330 students will be awarded academic honors. The top five College Division Programs with the highest number of graduates include Transfer Programs, 364; Nursing, 167; Tennessee Transfer Pathway, 139; Engineering Technology, 70; and Applied Science, 50. Among the top five College Technical Certificates, Acting, Emergency Medical Technicians, Dental Assisting, Paramedic and Pharmacy Technicians boast the greatest number of graduates. In the Embedded Certificate category, the top five include Entrepreneurial, Advanced Process Technology, Process Technology, Volume Non-Destructive Testing, and Surface Non-Destructive Testing. Hamilton County Collegiate High at Chattanooga State recognizes class leaders Chloe Rene Russell-Vernon, Valedictorian and Kara Cher Elaine Walsh, Salutatorian. A total of 49 graduates will receive their high school diploma with a number of college-credit classes under their belt, while 21 of these graduates also have earned enough credits to receive their Associate Degree. Also recognized during commencement will be this year’s Faculty Fellows: Jacqueline Smith, Dr. Jennifer Arbogast, Libby Farrelly, Lisa Legg, Dr. Lindsay Holland and Jimmy Jones. Faculty and staff Excellence Award winners include Vicki Headrick, Debbie Poteet, Ed Grun, Dr. Patricia Ochoa, and Dr. Kathy Trotter. With a combined total of more than 449 years, retiring faculty and staff for 2015-16 are: Billy Anderson, Cindy Birchell, Joan Byron, Karen Castleberry, Bill Chamberlain, Arlene Flerchinger, Alan Herweyer, Steve Huskins, Kathy Long, Paul Mangiofico, Dan Mayfield, Sharyn Moreland, Jeff Morris, Bill Norman, Charles Parks, Timmy Ross, Mickey Rountree, Margery Sanders, Marcia Sivley, Joyce Smith, Hartley Varnell, Vicki Von Schaaf, and Allen Wallace.